Scotlean Pigs was established in Scotland in 1980 by a group of progressive producers who were interested in the potential benefits of cooperation and establishing their own marketing opportunities post farm gate. The move was prompted by signs of a decrease in the number of slaughter/processors in Scotland, which led to a buyer’s market. Scotlean’s growth was deliberate and soon spread into England, developing bespoke and well-structured marketing contracts with new and progressive abattoir/processing companies. This growth allowed Scotlean to respond to a range of member needs, including the development of competitive purchasing initiatives, which reduce producers’ costs without compromising on quality and, ultimately, pig performance. Recent changes to the size of the UK pig industry have led to increased imports of pig meat, often from countries with lower production costs. As a result, Scotlean members have developed an even greater focus on their business processes. 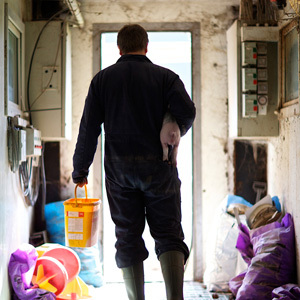 Cooperation can still provide the right opportunities for the British pig producer. We believe it is up to producers to create the right environment and business structure to gain from such opportunities. If you are a farmer, we invite you to take the next step – join us and help yourself to achieve the best potential through cooperation. Developing bespoke and well-structured marketing contracts with new and progressive abattoir/processing companies.